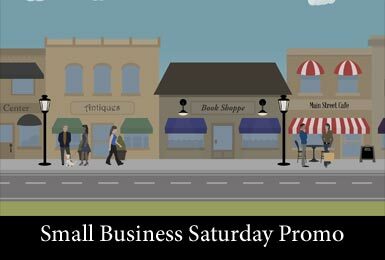 Support your local small businesses and get away from the traffic and Black Friday mall crowds on Small Business Saturday, November 28th, 2015. This project was created with Carmel’s Arts & Design District on Main Street in Carmel, Indiana in mind. Many other cities and small towns boast their own main street shops, unique local retailers, and small businesses providing specialty services. Friendly service, close, and unique. Your town’s local small businesses and main street shops deserve your support. So, come out Saturday after Black Friday for Small Business Saturday and see the difference for yourself. Contact Us to customize this project for you, or share the video as is.